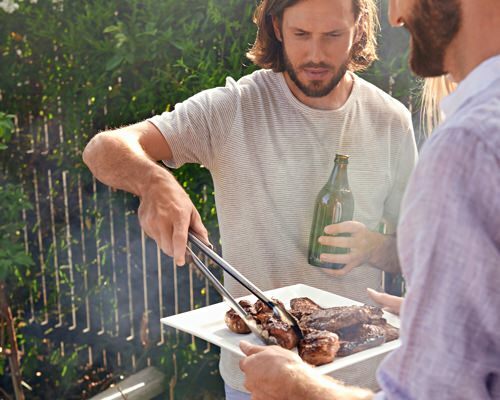 The 10 Worst Grilling Mistakes to Avoid | Valet. Putting food to flame is an American summertime tradition. But grilling isn't as simple as cranking up the heat and tossing on some meat. Just ask anyone who's had to endure rubbery ribs, hockey puck burgers and overly charred moist-free chicken. 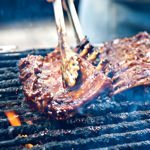 We've hit up the country's best barbecue masters to reveal the biggest grilling mistakes and how to avoid them. A dirty grill can ruin your food. 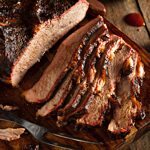 "Residue accumulates over time and settles into the nooks and crannies of your grill grates, causing the sticking that can tear off the beautiful crust you worked so hard to create," says chef Adam Perry Lang, author of Serious Barbecue. He suggests attacking your grate with a wire brush while it's nice and hot. That way, any leftover meat or sauce has burnt and will be easy to scrape off. This can be after you've grilled on a charcoal grill or after you've preheated your gas grill. Don't have a brush? Use aluminum foil balled up and grasped with a pair of tongs. You don't want to grill on a cold grate. Make sure you allow adequate time for the grate to heat up—that's the key to creating those grill marks on the meat. And aren't those what it's all about? 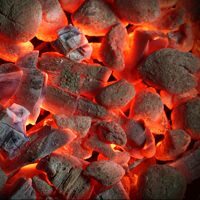 Besides, when you jump the gun and add the food too soon, it's likely to stick to the grates or impart off-flavors on the food if you're cooking with briquettes. Let you gas grill pre-heat on high with the lid down for at least five minutes. For a charcoal grill, place your grate on once your coals are grey and ashy and give it 10 minutes. Directly coating your grates with oil causes the grease to drip down into the flames. Any left over oil gets burned onto the metal from the high temperatures. You're better off brushing your meats and vegetables directly with oil just before you put them onto the grill. We often hear about letting your meat come to room temperature before cooking it, but when it comes to grilling steaks, that can easily lead to dry, overcooked meat. "Cooking with cold steaks allows you to control the temperature more, resulting in a perfectly cooked steak," says Michael Lomonaco, chef and managing partner at Porter House New York. "I like to cook my steak cold, right out of the refrigerator. You want your grill to be searing hot and the steak to hit it icy cold." Flare-ups caused by fat drippings singe the meat and make it taste burnt. But don't squirt water on it. Maybe you saw Dad do this, but it'll only get a puff of ash rising onto the meat. It's better to watch for natural hot spots and cooler areas and gently slide the food to a cooler area of the grill, trying not to shake out any more juicy fat (which could lead to another flare-up). Most barbecue sauces have some sort of sugar in them, and that will burn and leave you with an acrid taste. Any pit master will tell you that your best bet is to wait for the last five to ten minutes and then brush on the sauce and let it caramelize and reduce. Keep basting the meat for the last few turns to form a good lacquer of sauce. Raising the lid on a gas grill too much will cause it to lose heat. This makes your food cook more slowly. Repeatedly lifting the lid of a charcoal grill does the opposite—letting in a flood of oxygen that causes the coals to burn hotter and can result in burnt meat. The lesson here: try to leave the lid down as much as possible. Your father probably never used a meat thermometer when he grilled. He might've just cut into one of the steaks to see if they were done. Most chefs don't use thermometers either. They prefer to poke the meat because they know how a rare and a medium rare steak feels. But you're likely not that experienced. And cutting into your meat is a rookie move. Simply stick it with a meat thermometer. You're instantly informed and can deliver a perfectly rare or medium rare steak on request. We've all been guilty of this one. You're hungry and you don't want to let the meat get cold, right? But no matter what kind of meat you're grilling, cutting into it too soon will unleash a rush of juices that will run all over. Where they won't be is where you want them—in the meat. So make sure to let meat rest (under a foil tent to retain some heat) for at least five minutes before serving it. This allows the internal juices to thicken and redistribute so every bite you take will be tender and juicy. Some people want burgers, some want chicken and somebody showed up with sausages that you're responsible for cooking up too. If you try to grill them together, nothing quite turns out as good as it should be. Instead, grill one type of food at a time and focus on the order. Start with a high heat, perfect for seared burgers or steaks, then move to the low-and-slow heat needed for chicken or sausages. Serve people as the food comes off the grill and just make sure you've got plenty of sides and snacks for the people waiting for the next batch. Essential, no-nonsense equipment to ensure you'll grill like a pro this summer. The best tips and tricks to get the most out of your barbecue.